A country's currency partially expresses the performance of its economy. In the second half of last year, the Dollar rate increased more than 16 percent against an amalgamation of currencies around the world. Another major factor is the price of oil. As oil is priced in Dollars, it has the direct impact of raising the Dollar's purchasing power as compared to other currencies which are used to buy oil. Moreover, a boost in the production of crude oil has acted as a catalyst in enhancing the trade balance. In any country, income levels of individuals shape its currency through consumer spending. It is a common behavior that when incomes increase, people start spending more. A portion of the higher earning section prefers to buy imported products. So, higher demand for imported goods increases demand for foreign currencies. This greatly weakens the local currency value. When the US exports products or services, it creates a demand for Dollars, because customers need to pay for goods and services in Dollars. Therefore, to make the payment, the local currency has to be converted into Dollars. This is also applicable to the purchase of US corporate stocks from non-US investors, which requires a foreign investor to sell their currency to buy Dollars to purchase those stocks. With such instances, the US creates more demand for dollars; and that ultimately puts pressure on the supply of Dollars, increasing the value of the Dollar. 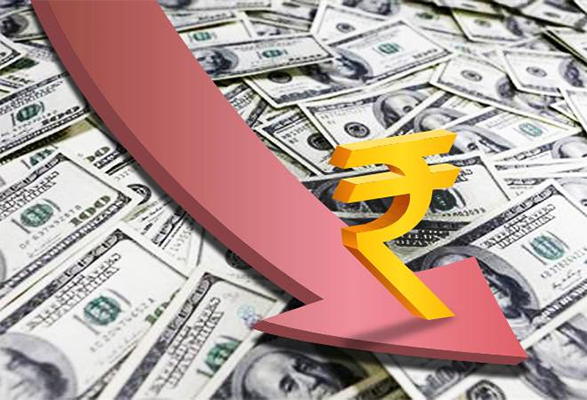 In addition, the US Dollar is considered a safe haven during the times of global economic precariousness; so the demand for dollars can often persist despite fluctuations in the performance of the US economy. This impacts several aspects. For example, students heading abroad or taking a loan will have to spend more for their education and living expenses. Industries that are dependent on imported raw material will cut costs either by reducing salaries or human resources. Vacationing abroad will get expensive. Car companies are already revising their prices as they are dependent on imported raw material, pay royalties to their parent firms, and have loans and borrowings in foreign currency. International food chains spend on imported kitchen equipment and some amount of raw material. Eating in these outlets will see a significant rise in expenditure as compared to earlier. Considering all the cons discussed above, there is a certain upside to this situation. It's a great time to be a Non-Resident Indian (NRI) if you remit money to India or invest in the country. One definitely gets a rewarding value be it the UAE's Dirham, the US Dollar, the British Pound, or any other currency. India has the highest number of residents living abroad and these NRIs repatriate more money to India than any other country. A smart move would be to take advantage of this situation and benefit from it by remitting as much amount to India as possible. Confused! About choosing the best money transfer service for your international transfers? Money is everything! Isn't it? Well, that's the fact if we think little practically. Everyone is striving in the world just for this. While those traditional days of visiting banks or nearest post office for sending money to someone are absolutely gone now. Today, time is more important to many people as compared to money. People don't mind spending a few pennies more if that even saves their few minutes or hours. You might want to send money to a receiver who does not have a bank account. In this case, choose a service provider which can make the funds available in cash. So, check with the service provider about the collection options they offer to recipients. 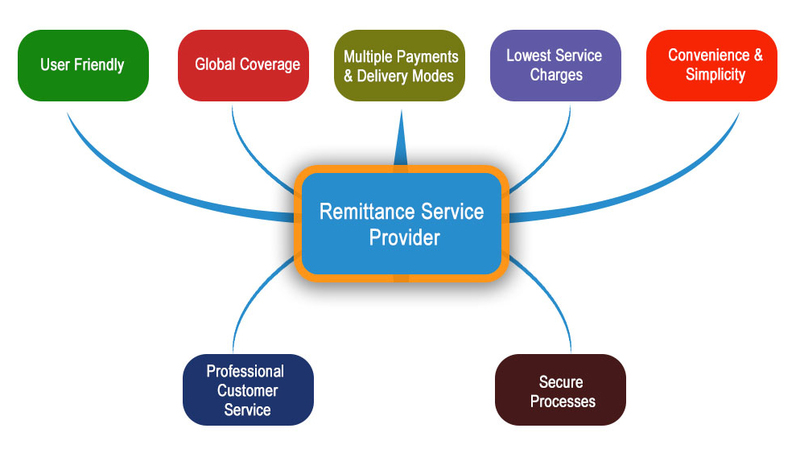 RemitGuru provides remittance services in the form of demand draft in special cases. Today, most of the senders prefer sending money online from their bank account. However, in exceptional cases, if you want to send money by demand draft or a cheque, check with the service provider if they have this facility. Definitely, the transfer time will be affected with respect to the payment option. You can also do a SMS remittance using RemitGuru's SMS remittance facility. Now this is the most important criteria which as a sender you look into! Usually, many foreign exchange service providers cost comparatively less fee than banks. Today, many companies even have special offers every day and some promo codes and deals for its new customers. So, don't forget to look for these even if you are an old customer. Remember, the company doesn't want to lose you! Again the most important factor! Exchange rates keep varying at any time of the day. So, compare the exchange rate of some service providers and then select the best one. Now here?s the trick! Some online transfer companies will match competitor's quotes and give you some offer for the next transaction. Don't forget to look for such offers also! You may save some great amount for you shopping next time! In addition, there are many remittance providers who also send you notifications about exchange rates; so you may decide to send the money when the exchange rate reaches your expectations. For example, RemitGuru has recently launched their Exchange Alert feature, which is one of the best features that many customers have liked recently. Check the service provider transfer fee and their minimum and maximum transfer limit. Here, you can analyze whether your international money transfer is cost-effective or not. There are also some companies which enable you to send even a small amount as US$1. Now, don't forget to look if some providers waive off your transaction fees for large transfers. The most important of all! As a customer, you might have a lot of issues ? transaction fail, but money deducted from customer's bank account, which is a common problem that increases the heartbeat of many customers! So, a 24-hour and most efficient customer service is what you should be looking at. So, be ready with these options and choose the best international money transfer service for you. Don't forget to look for their offers and enjoy them while you spend money! How technology is changing the global remittance space in 2018? The remittance industry is a big business, according to the latest figures published on the World Bank website, global remittances are expected to increase by 4.6% to $642 billion in 2018. Remittance inflows improved in all regions and the top remittance recipients were India with $69 billion, followed by China ($64 billion), the Philippines ($33 billion), Mexico ($31 billion),Nigeria ($22 billion), and Egypt ($20 billion). India had in 2016 received remittance of 62.7 billion. According to the report, the global average cost for sending money recorded a slight increase from 7.09 in Q4 2017 to 7.13% in Q1 2018. An over year decrease compared to Q1 2017, when this figure was recorded at 7.45%. Banks remainthe most expensive type of service provider, with an average cost of 10.57%. The International MTO Index tracks the prices of MTOs that are present in at lease 85% of the corridors covered in the RPW (Remittance Prices World-wide)database. In 2018, the International MTO Index remained stable, recording a slight decrease to 8.16% from the previous value of 8.23% in Q4 2017. In addition to the global average, a weighted average total cost is calculated, which accounts for the relative size of the flows in each remittance corridors. The global weighted average in Q1 2018 has remained stable, recorded at 5.23 percent. This marks the fourth consecutive quarterly decrease of this figure recorded at 5.65 percent in Q1 2017. With theadvent of digital currency and blockchain technology, remittance companies arenot holding back in adopting currencies like bitcoin to enable remittanceservices. With these adoption companies are trying to solve multiple issuessuch as high transfer cost, limited money distribution methods, limited brandoptions, limited ways to deal with money, etc. Anelectronic decentralized ledger would enable all participants in aninternational trade finance transaction ? the bank, the importer, and exporterto access data in real-time. Documentation and record of authenticableownership, along with the transfer of assets would be streamlined digitally, inreal-time, on a tamper-proof ledger. Blockchain-based settlements can reduce the friction of domestic and cross-border transfers between banks. 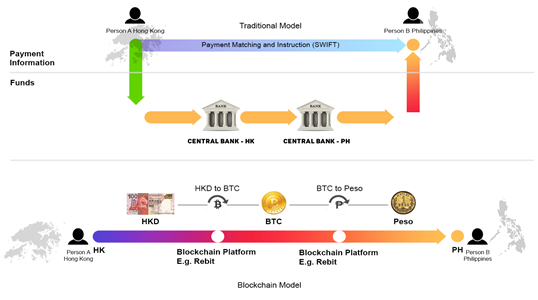 Using the blockchain in this fashion will not only lead to morevalue accretion to remitting customers, but it will also be the kind of radical value proposition improvement that will be required to attract customers and break them from established habits around sending and receiving money.Similarly, the blockchain can be used in remittances to enhance pricing transparency and provide better transfer security, as well as be used as anon-ramp for other technology-driven financial services.